1 : 1450000 Colton, G.W. 1 : 947000 Hammond, C.S. 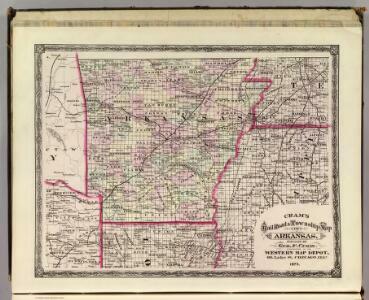 Arkansas and portion of Indian Territory. 1 : 1650000 Tanner, Henry S.
1 : 800000 Tanner, Henry S.
1 : 1480000 Goodrich, S.G.
1 : 1480000 Bradford, Thomas G.